If you read last week’s blog post, you saw me write about getting help (and homework) from a social media expert. You probably also saw me link to sign up for a newsletter. The two things are not unrelated. Newsletters are, according to my social media expert, a writer’s best friend. They provide a way for a writer to keep in touch directly with their fans, offering them extra bonus content that not just anyone has access to. As well, newsletters put the writer in control of their contacts. After all, if WordPress disappeared tomorrow, how would I be able to contact all you lovely readers? Short answer, I wouldn’t. But if I have your email addy, then I can reach you, no matter what happens to Twitter, Facebook, Goodreads, or WordPress. So, how will my newsletter be different from my blog posts? Well, right now I blog weekly about my writing journey – writing tips, things I’ve learned, and generally what’s going on with me as a writer. And that’s not going to change. 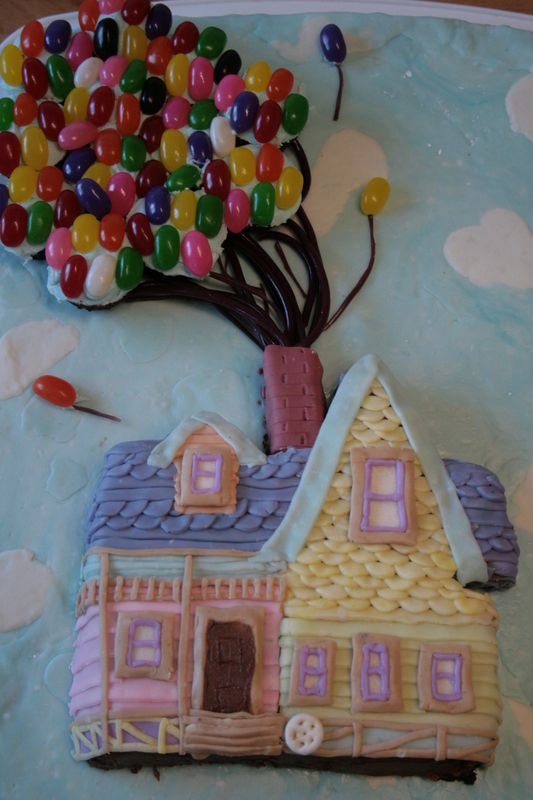 My newsletter will be a monthly (ish) email with book-related bonus content: cake designs, flash-fiction, behind-the-scenes book tidbits, and maybe even a story-inspired recipe or two – plus the link to my Cakey Goodness page (which you may have noticed is no longer available on the blog menu). 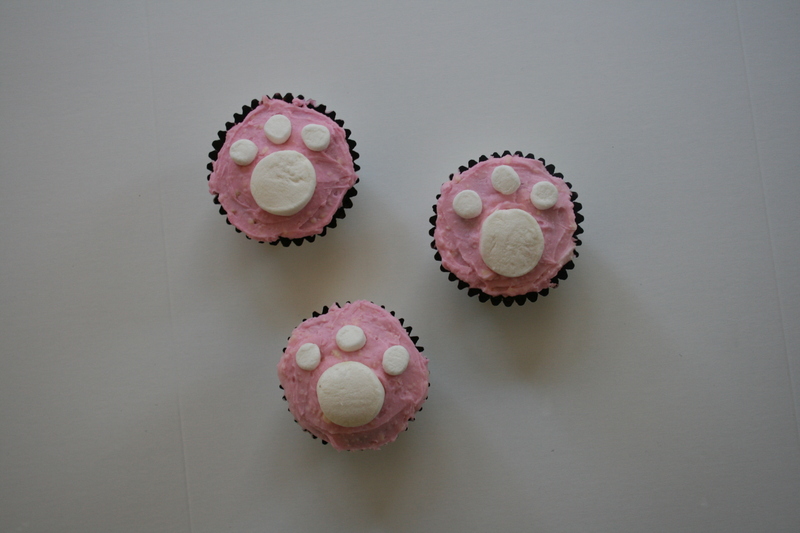 This month’s newsletter features step-by-step instructions for Cutie Cat and Paw Print cupcakes. Perhaps in the future I’ll even have some special giveaways or bonus offers for newsletter subscribers only! What won’t my newsletter be? A constant stream of demands for you to buy my book(s – I’m optimistic). While I may occasionally include a reminder the month something happens (expect April’s newsletter to mention the day FUN WITH FROSTING hits stores), I’m not going to pester you with ads for my book, because all that would do is drive you away. And, of course, I’m not going to give or sell your address to anyone, and you can unsubscribe anytime. So, if you’re interested in bonus content, sign up using the form below (you’ll notice I didn’t make it one of those annoying pop-ups, because they’re one of my personal pet peeves – right up there with filter words! – and the last thing I want to do is annoy you guys). Also, while the sign up form will stay on my home page, I won’t keep blogging about it here. Okay, it looks like the form didn’t embed properly (have I mentioned how not tech-savvy I am?) so if you want to sign up for my newsletter, please click here. I’ve added this link to my homepage as well, so hopefully everything works. If you still can’t sign up, please let me know via the comment form or on Twitter. Paw print cupcakes made last week for a friend’s daughter’s birthday. I don’t know about you, but my life is crazy right now. I’m working on revisions for two books, preparing to go on our family’s first-ever out-of-country vacation, still coping with my concussion and a seemingly never-ending flu, all while getting ready to launch FUN WITH FROSTING. But when it comes down to it, there are only so many hours in a day, and as much as I want this book to succeed, I have to keep writing and take care of my health and family, too. Which is why, this week, I said no to a potential source of publicity. You see, our local Humane Society is sponsoring a fundraiser called National Cupcake Day, where bakers invite their friends over for a cupcake party in return for donations to the Humane Society. It sounds like a lot of fun, and a great cause, and I’d get to announce that I’m doing it on my blog and stuff. 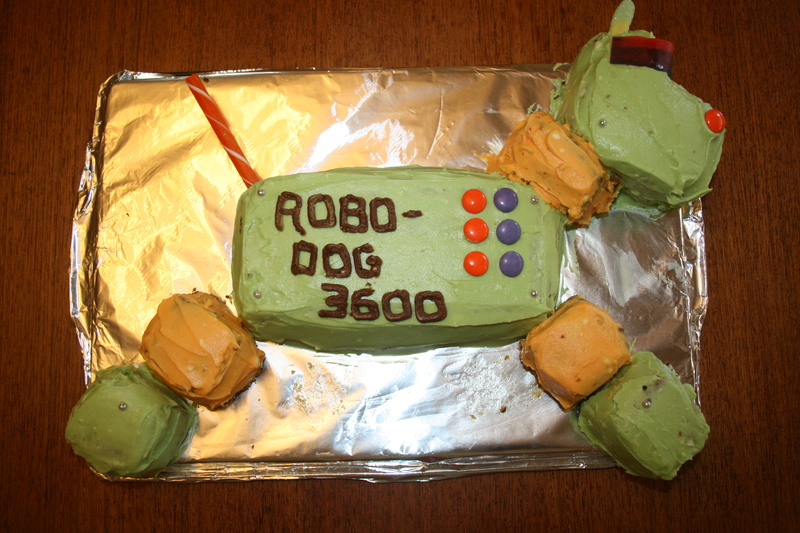 The event is only a day or two after we return from vacation, which would be a crazy-stressful time to bake. And, I’d really only be advertising to my friends, since it looks like there’s no master list of bakers to view online. So, I’ve decided to opt out. And the guilt is driving me crazy. There’s this little niggling voice in my head saying “Are you crazy? How can you say no to publicity?” But honestly, I can only spread myself so thin before I start to fall apart. A friend who recently launched her own book warned me, “You can drive yourself crazy coming up with all the things you *could* do/have done to promote your book.” Now I see what she meant. It’s the same with being a mom. I would love to go on field trips, volunteer in classrooms, help organize bake sales – but with three kids in three different classes, it’s just not feasible to do everything. As hard as it is for me to say it, it’s true. I can’t let guilt haunt me. All I can do is try. So I will keep trying to do as much for my book and my kids as I can, while still holding the rest of my world together. And I won’t feel guilty (much!). What about you? Ever felt guilty about having to say no? Let me know in the comments. That’s right, my YA Contemporary is still unfinished. Boo. There were a few factors that contributed to not getting it done, including 3+ weeks of flu (stomach and respiratory – lucky me!). But the main reason was receiving an editorial letter from Bri’s assistant for SHADOWCATCHERS (my MG Fantasy). Since we want to get that puppy polished up and back on sub ASAP, that revision’s deadline took the place of my YA’s deadline. I admit, I really wanted to get my YA done before I left on vacation (especially since I’ll be coming back to mad preparations for launching FUN WITH FROSTING), but now I have an excuse to occasionally escape my kids and in-laws (sorry, guys, got to work!). Plus, I’m hoping to bug my psychiatrist aunt-in-law for help with a few details for the book, so really, it all works out. I also managed to get blog posts written and scheduled for the next few weeks, so I won’t completely disappear from social media while I’m away – although I expect my internet connection to be spotty at best, so this may be the only place you find a trace of me. How did you fare with your deadlines? Let me know in the comments. Some days I can’t believe my luck. Literally. I mean, here I am, after years of hard work, with an agent, and a book coming out (squee!). I’m planning a book launch (double squee! ), and people are actually saying yes to my publicity requests. It’s like a dream. I keep expecting someone to pinch me and wake me up, forcing me back into my boring old life. 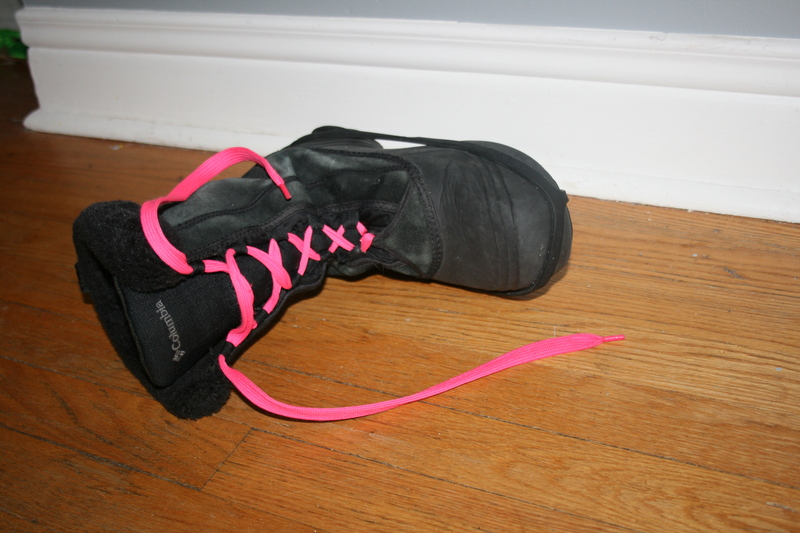 I’ve written before about Impostor Syndrome – the fear I (and many of my writer friends) have that one day my agent is going to realize she made a mistake, and my writing isn’t any good, and she’s going to ditch me. But the more I write, the more those feelings have begun to fade. I work hard, I’m always learning, and my crit partners are loving my latest work – I no longer feel like a fraud (most of the time) when it comes to writing. Instead, my fears have developed in a new way. Now I worry the universe is going to hit me with some kind of karmic retribution. That things are going so well, there has to be a major misfortune ahead of me to balance everything out. Never mind that my concussion still gives me weekly migraines and stops me from driving, watching movies, or doing any form of exercise. Apparently that’s not bad enough compared to the amazingness of finally getting a book published. No, I sit here expecting news of accidents, illness, or death. But as far as I can tell, these fears (which I’m now calling “Too Good to Be True Syndrome”) have the same root as Impostor Syndrome: a lack of self-confidence. The idea that I don’t deserve all these wonderful things, even though I’ve worked insanely hard to get them. They’re not a product of luck or fraud, they’re the result of years of hard work, and I’ve earned them. Lets face it, writing takes far more self-confidence than I ever thought I’d possess. It takes crazy amounts of courage to put your work out there for crit partners, agents, editors, and readers to see and judge. Not to mention the strength required to put *yourself* out on social media – where one wrong step can result in world-wide humiliation. If I can do all that, I should be able to keep working without being paralyzed by unfounded fears. What about you? Do you suffer from TGTBT or Impostor Syndrome? Has low self-confidence ever stopped you in your tracks? Let me know in the comments.